Do you know the name Adol Christin? It's not surprising if you don't. He is the red-haired mainstay protagonist of Falcom's long running Ys action RPG series, and he has a brand new game coming out this week. 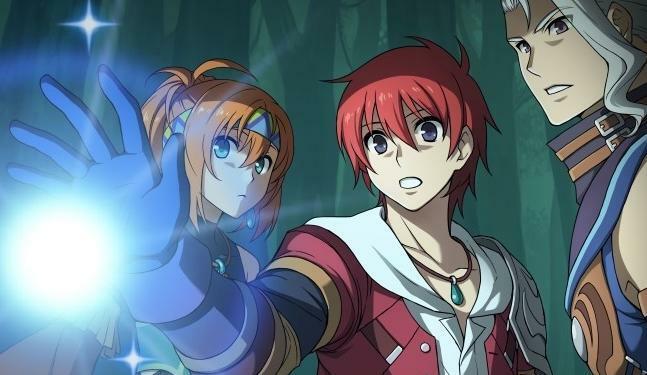 Ys: Memories of Celceta will continue the series' penchant for old school action RPG gameplay and storytelling, but it retells the story found in Ys IV. This series has a long and twisted line full of remakes, ports, redacted canon, and retellings of earlier plots. To untangle it all would require too much time, so just sit back and enjoy another adventure of Adol Christin as he uncovers yet another strange tale on his never ending journeys. Best of all, the translation is being handled by XSEED, the company behind Falcom's other popular series Trails in the Sky as well as Killer is Dead, The Last Story, Pandora's Tower and a good many other quality obscure games from Japan. This is the first time Ys IV's plot will be told in America, but it remains to be seen how many will actually play it. With the PS Vita sales not exactly shining these days, it would be a shame to see it dead on arrival, pushing the series into even further obscurity. XSEED has promised HD ports of the PSP Trails in the Sky games on PlayStation 3 and PC, which seems to be the way to go with Ys as well. Falcom has a history of favoring PCs over consoles despite the traditional console formula found in its games. It's one reason why many believe it has survived so long when many of its other 1980s peers have vanished into history. Falcom is a treasure from a much more innocent and adventurous time in gaming, and each of its titles is like stepping into a time portal. Be sure to check out Ys: Memories of Celceta, and if you don't have a Vita, then there are several others out there on Steam and PSN for cheap. Give at least one a try.